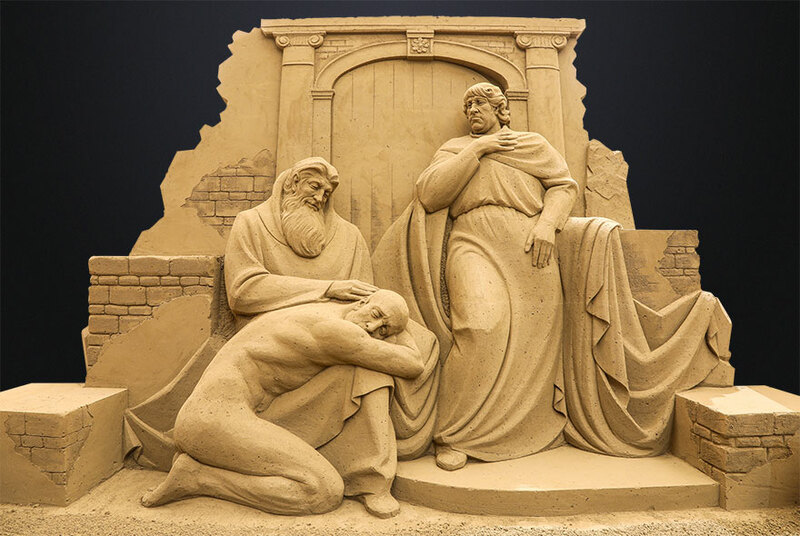 In today’s world, so busy and interconnected, there is a universal law that is unique due to its presence in all cultures: “Do to others as we would have them do to us, and do not do to others what we would not want them do to us.” This law is so precious that it is known as the Golden Rule. 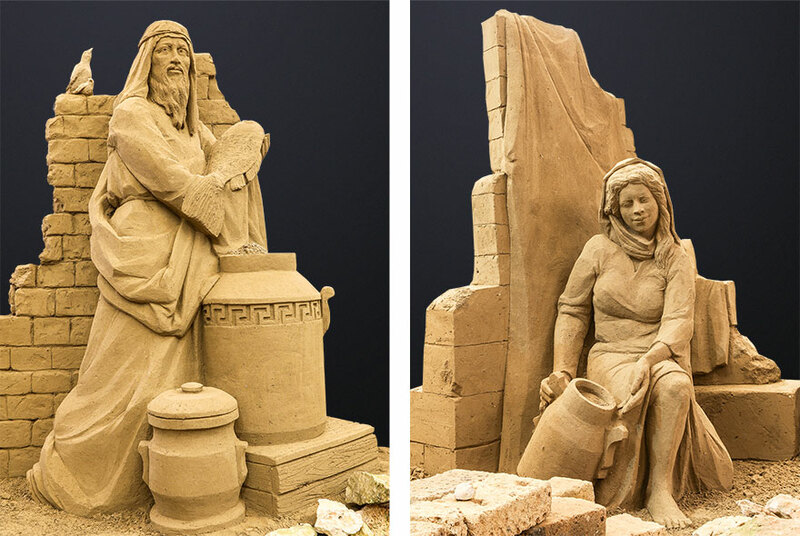 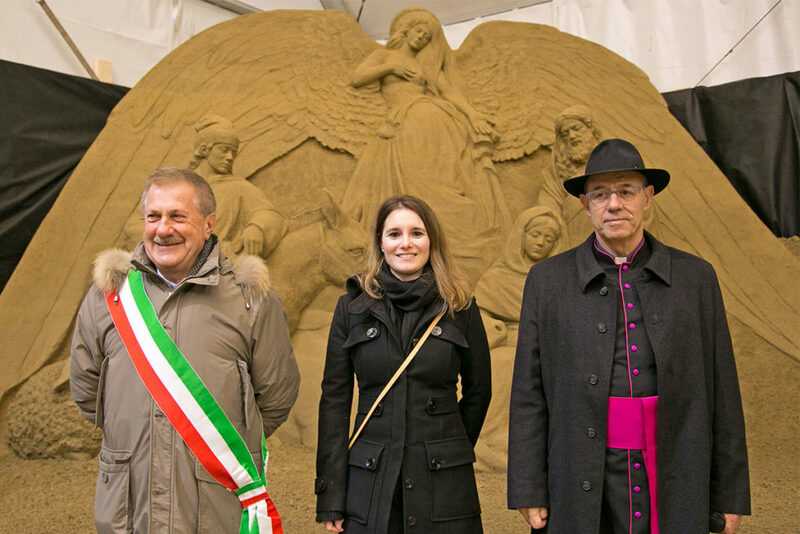 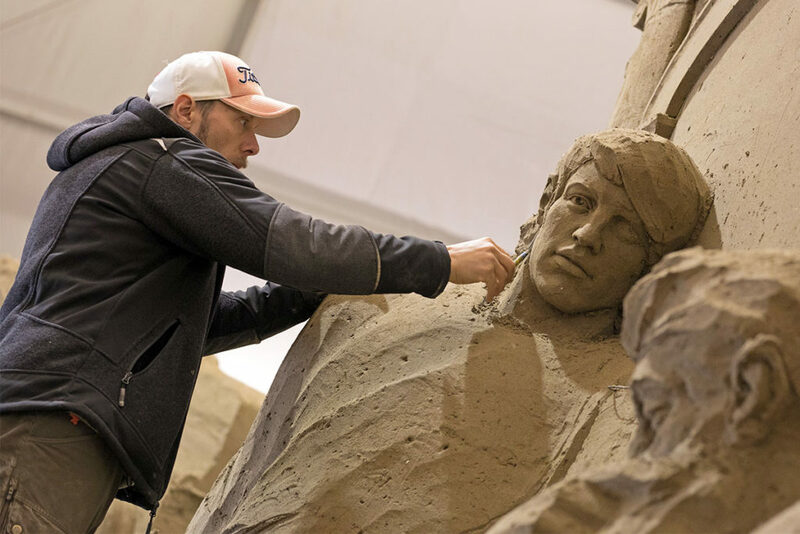 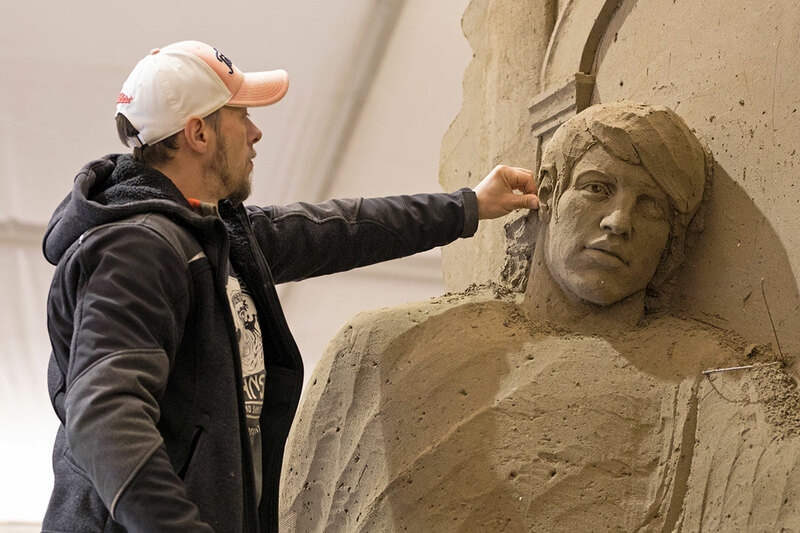 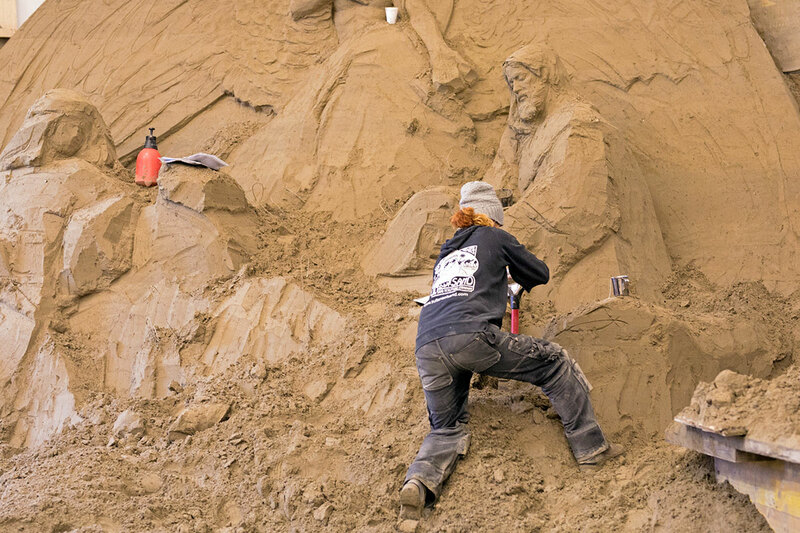 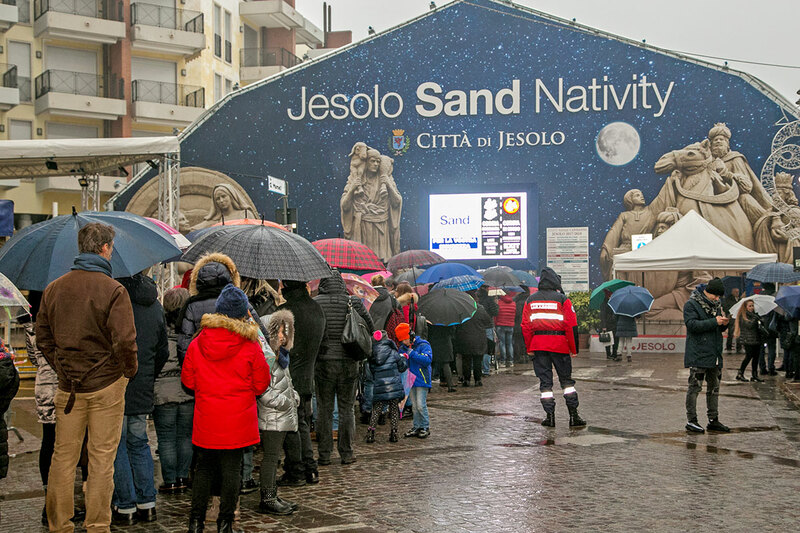 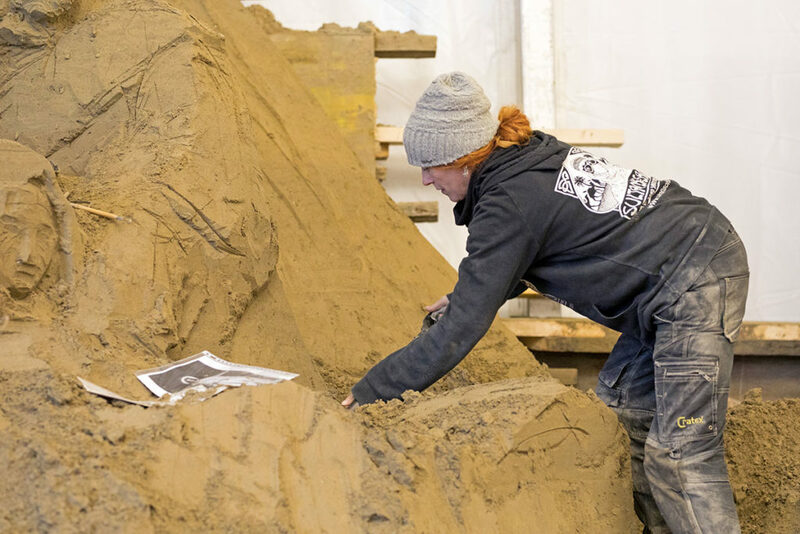 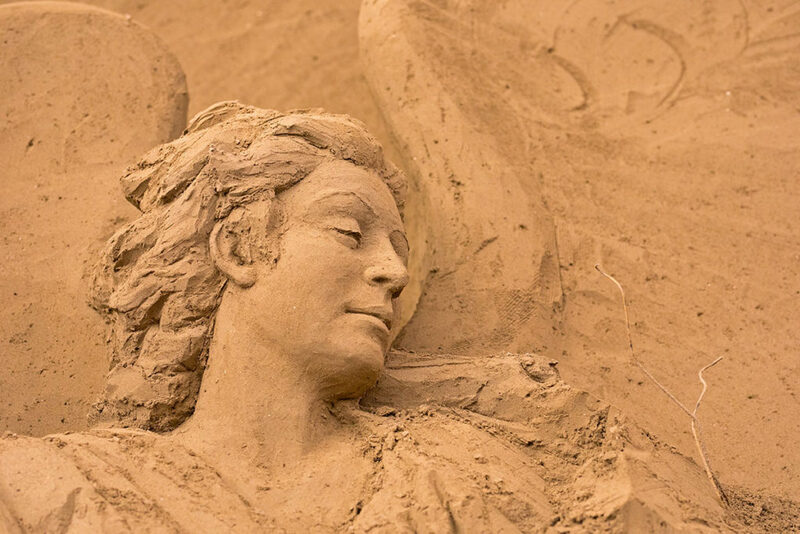 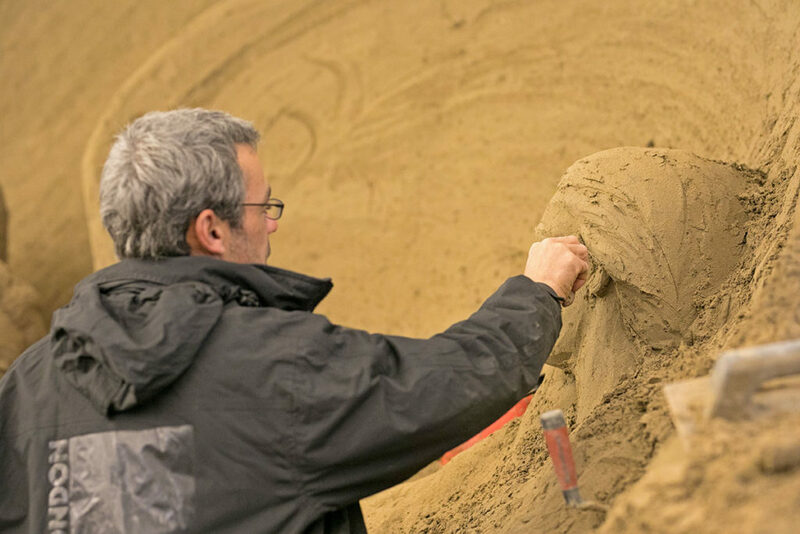 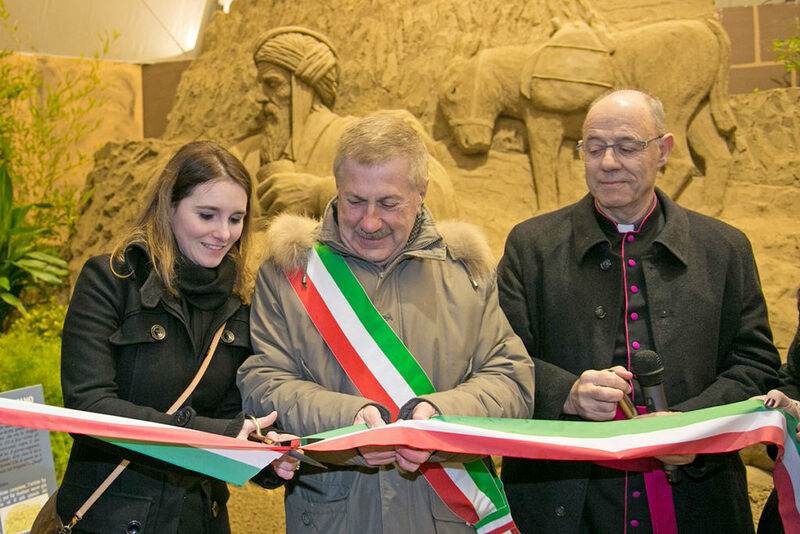 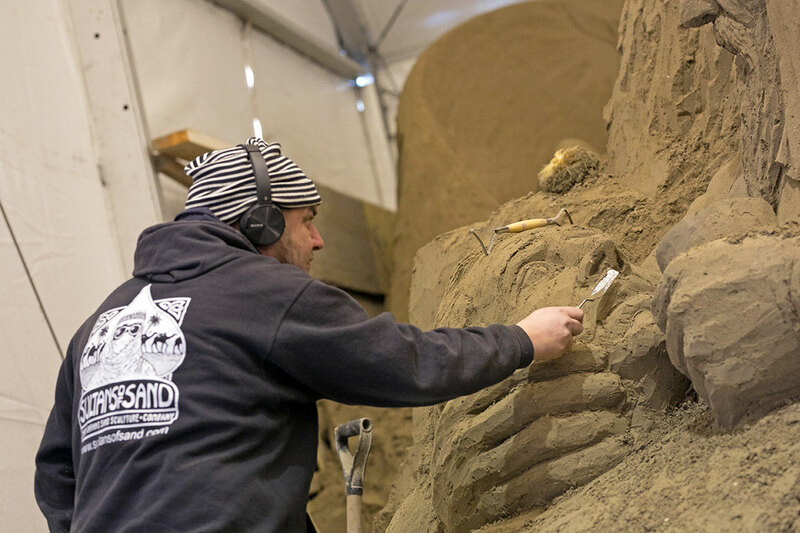 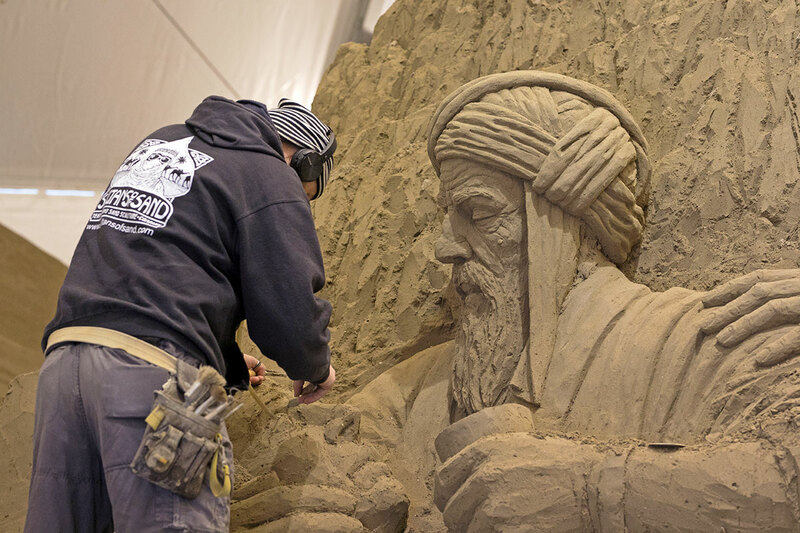 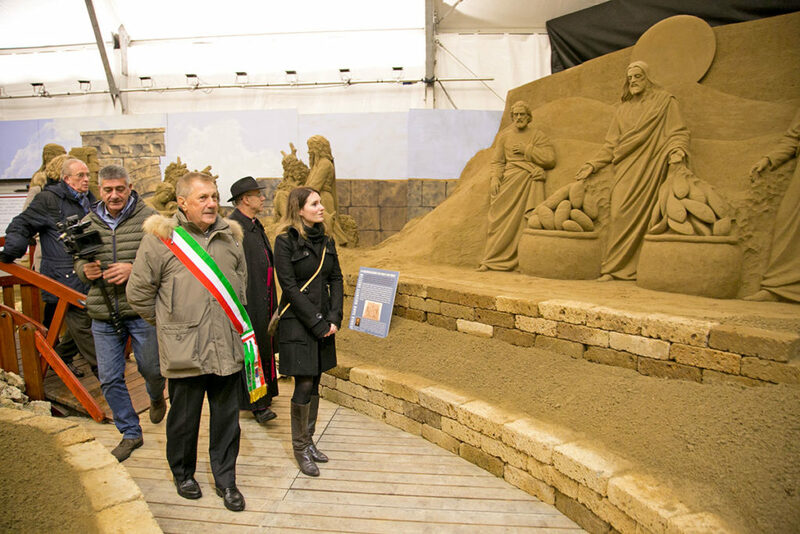 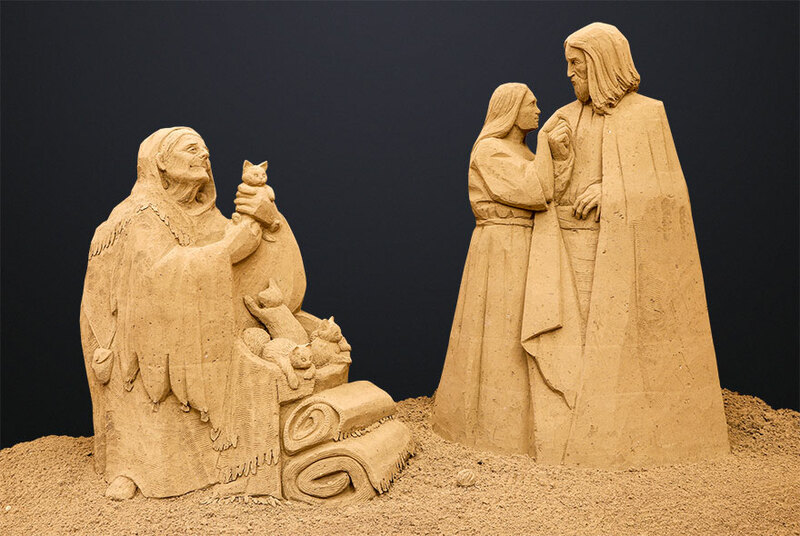 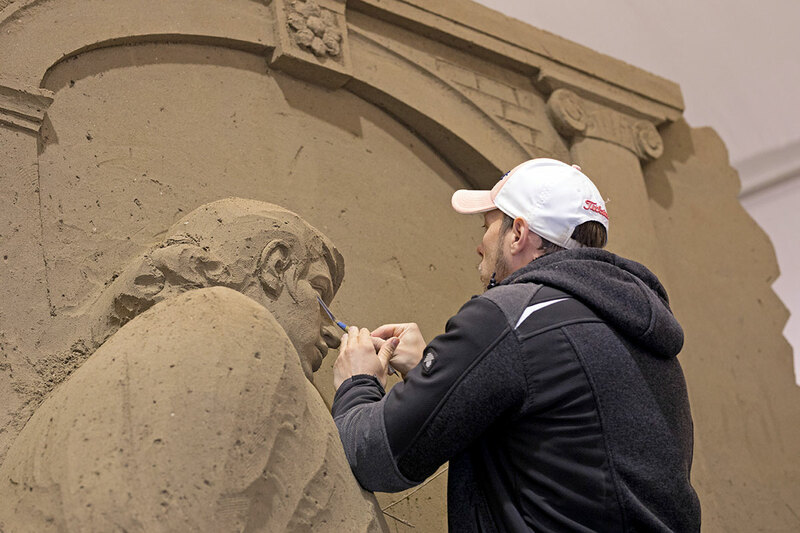 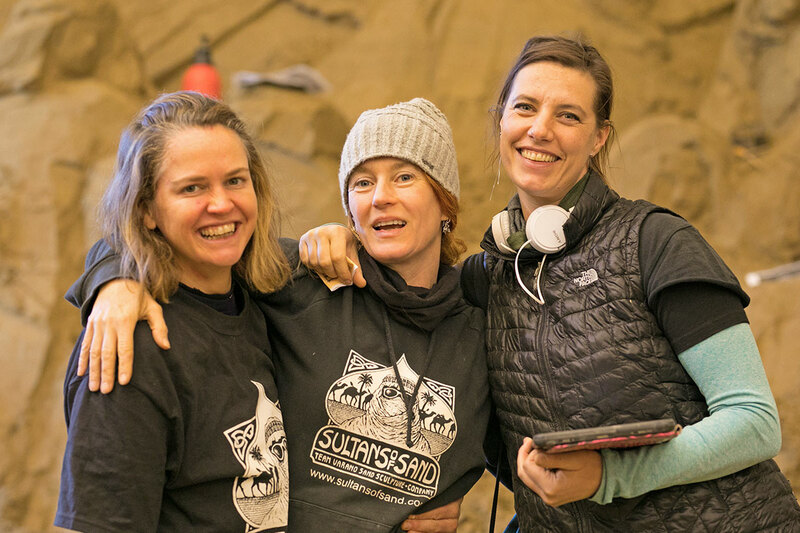 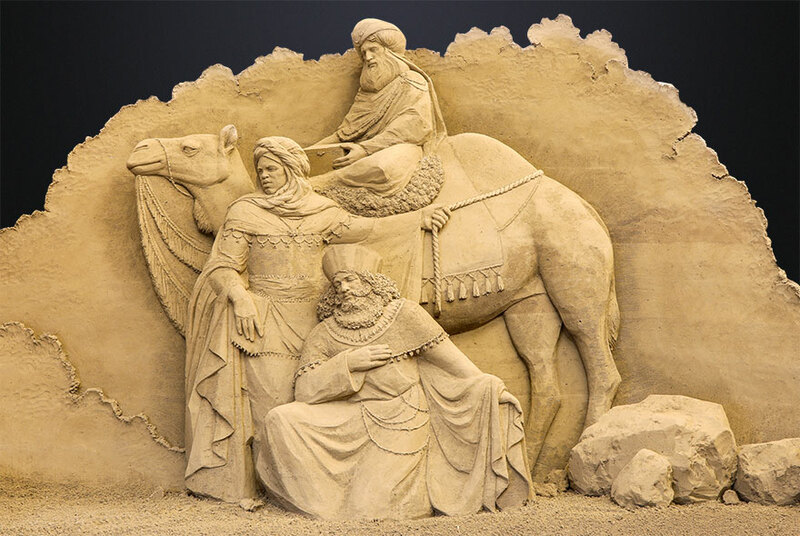 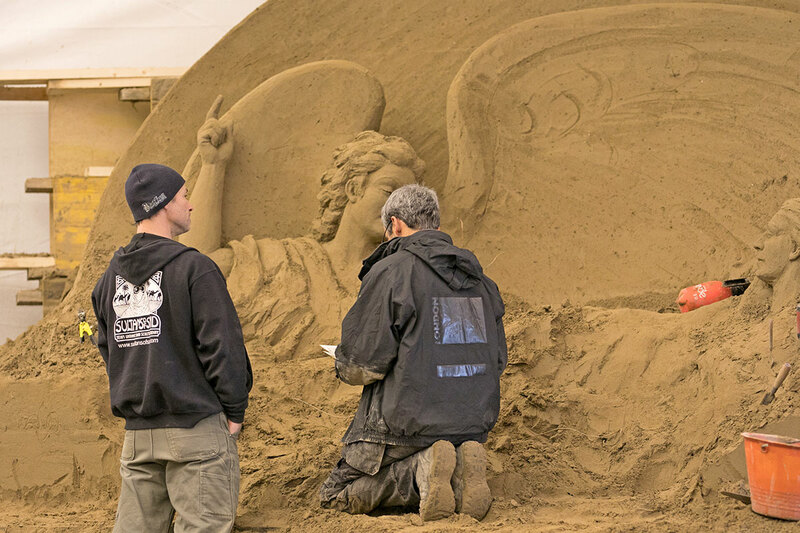 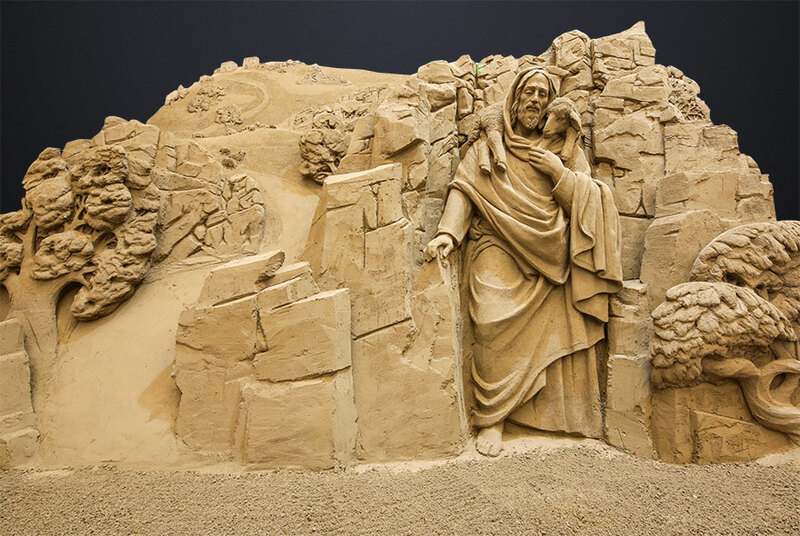 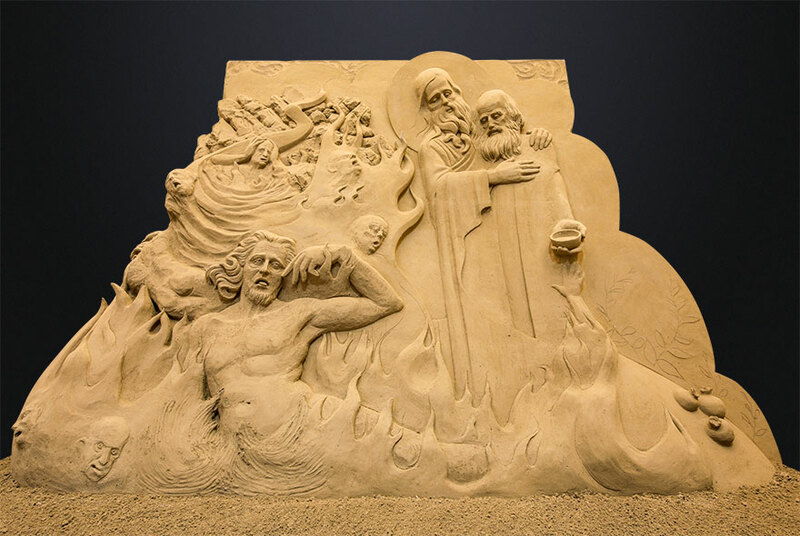 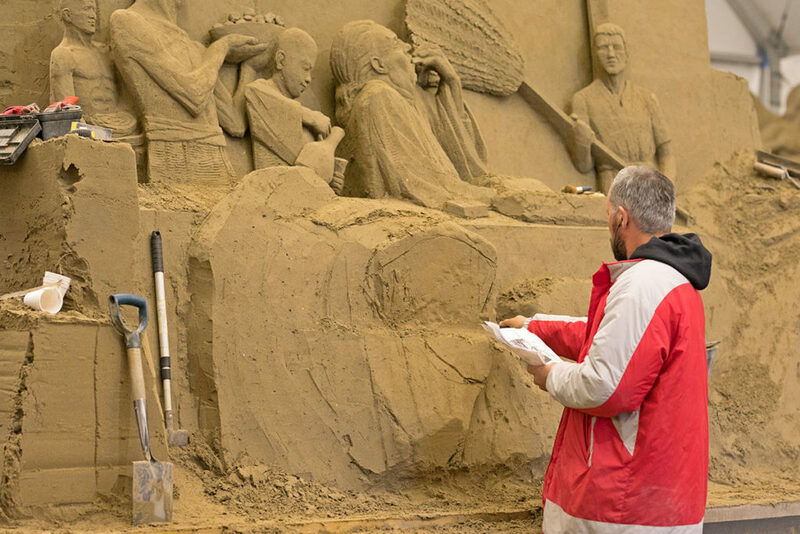 In this 16th annual edition of the Sand Nativity, the sculptures remind us not to lose sight of the Gospel values, which are the heritage of all for the peaceful coexistence of humanity. 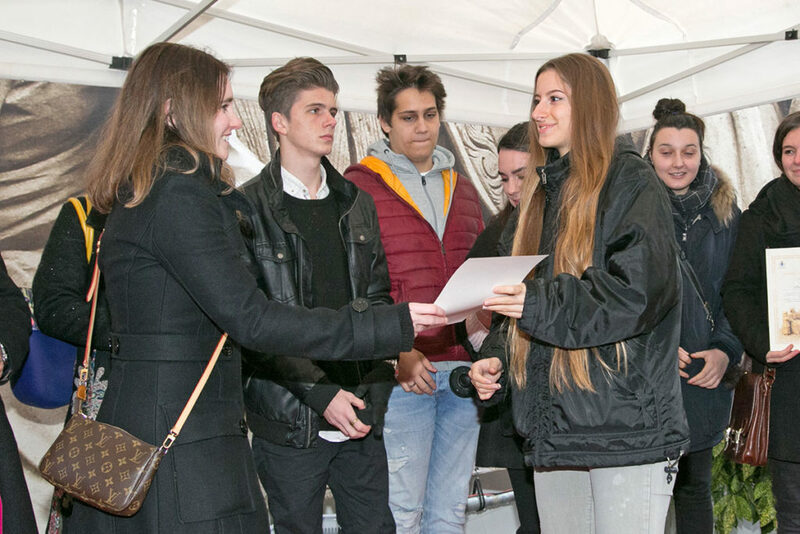 We, as individuals, can start to be the change we would like or hope to see in the world. 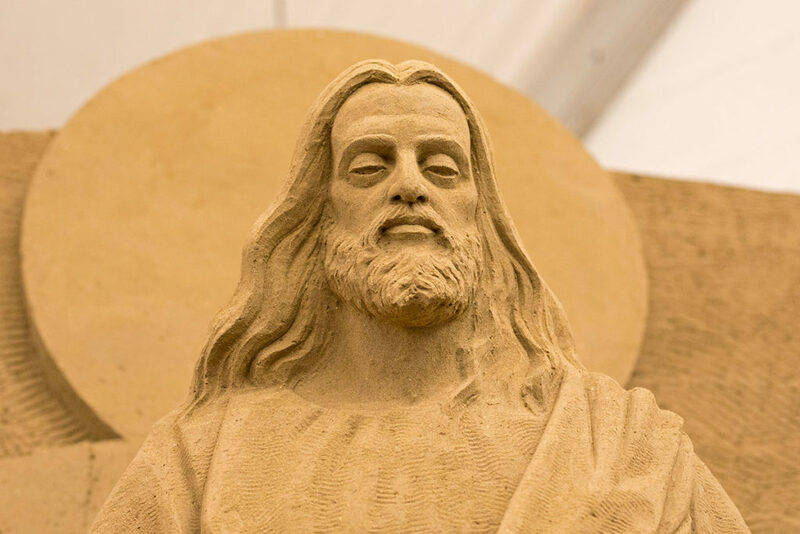 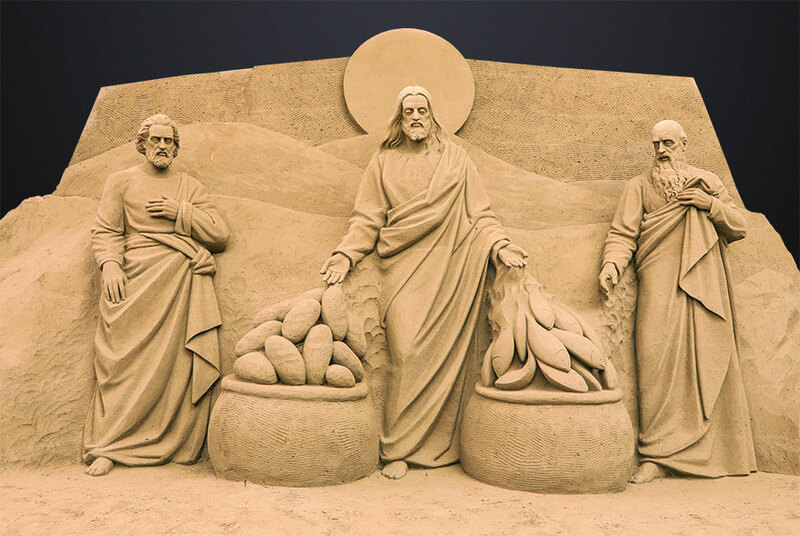 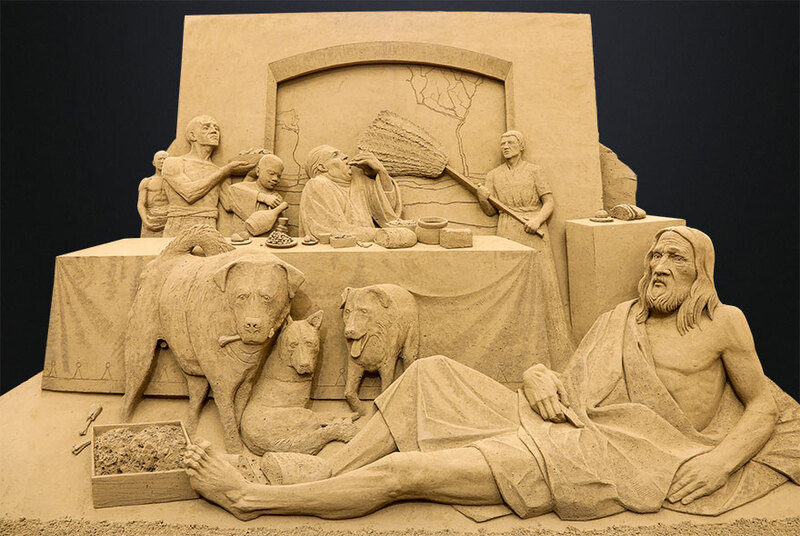 In addition to the scenes of Gospel episodes, parables and the Nativity, to complete the exhibition, some sculptures have been made portraying scenes of daily life in the time of Jesus. 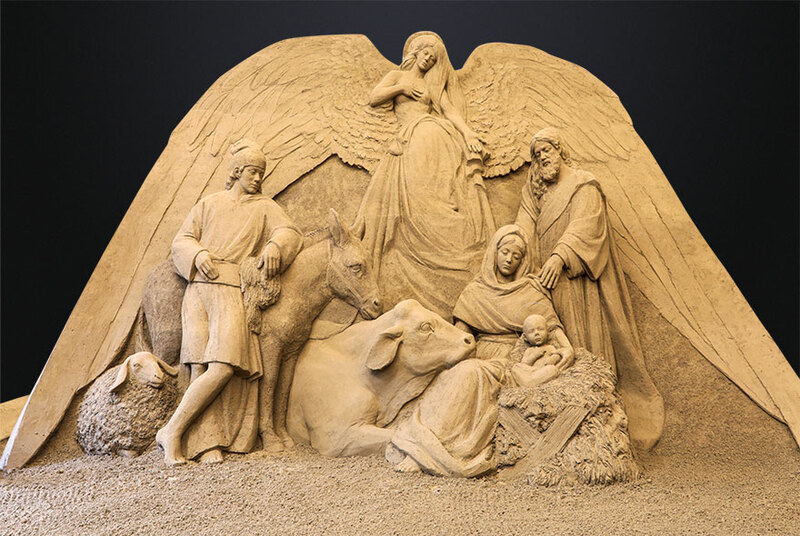 “The Angel Gabriel was sent by God to a town in Galilee called Nazareth, to a Virgin betrothed to a man named Joseph, of the House of David. 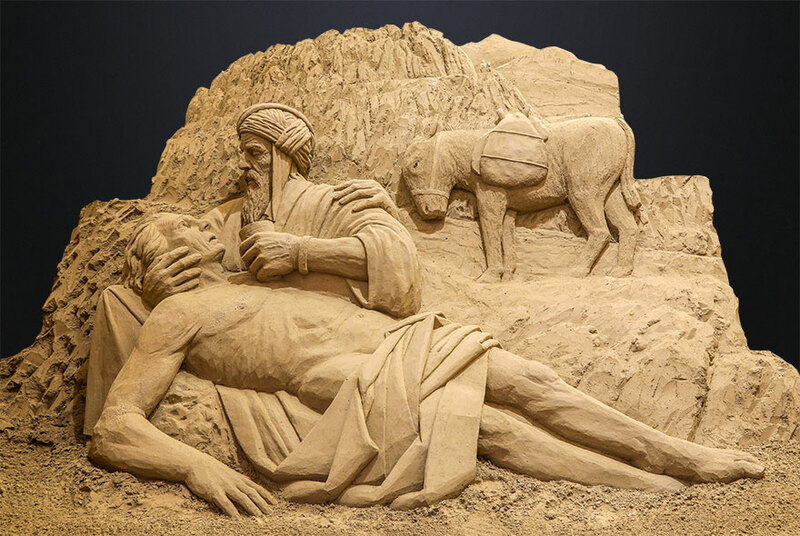 And the Virgin’s name was Mary. 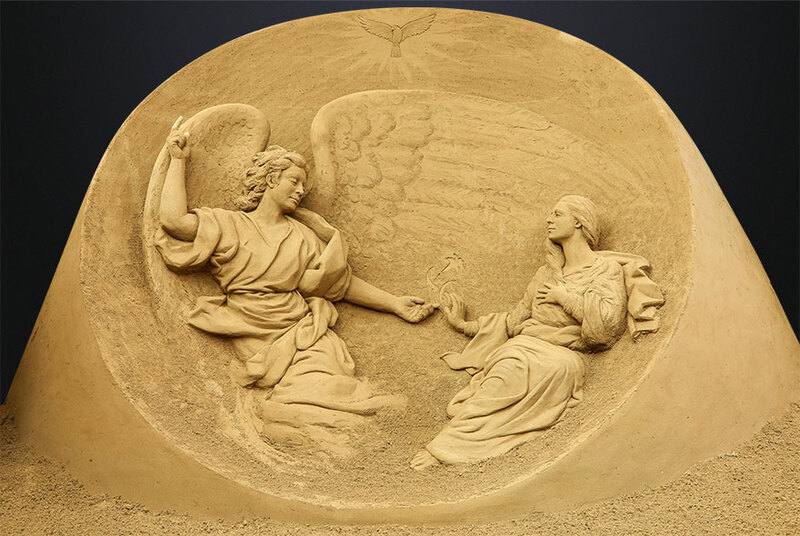 He went in and said to her: ‘Rejoice, o highly favoured, the Lord is with you’.” The artist wanted to portray the Annunciation inside a circle, to symbolize perfection. 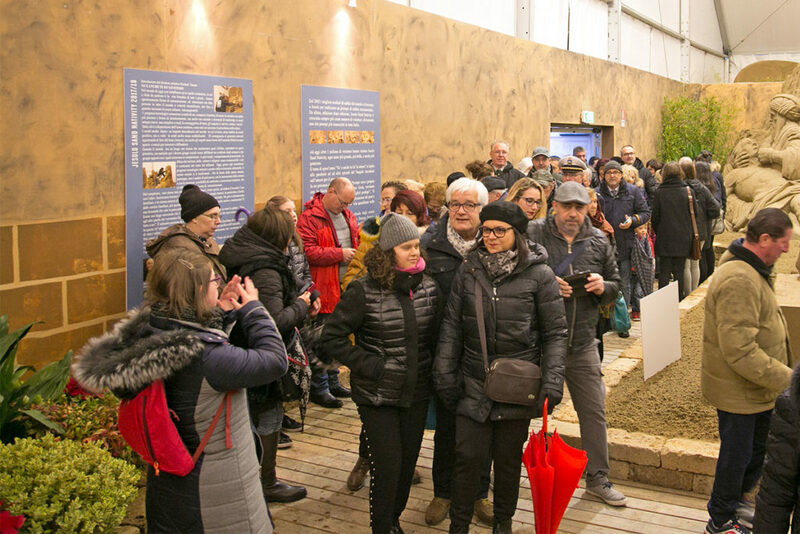 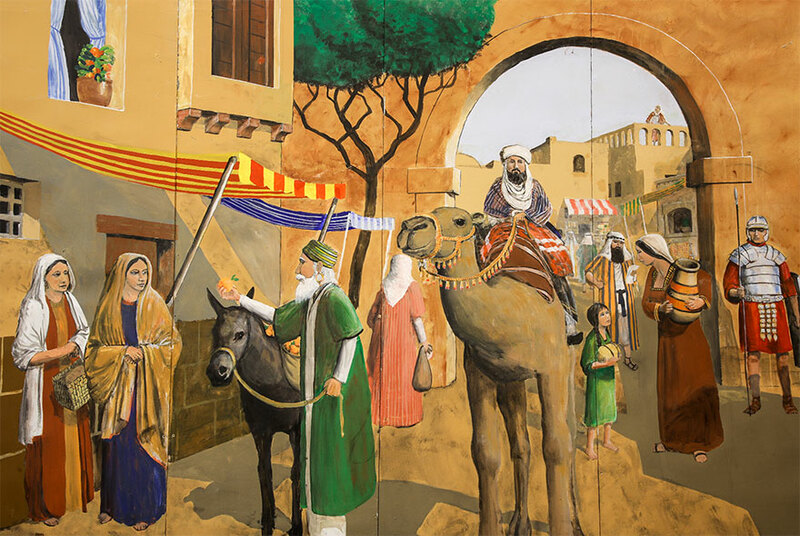 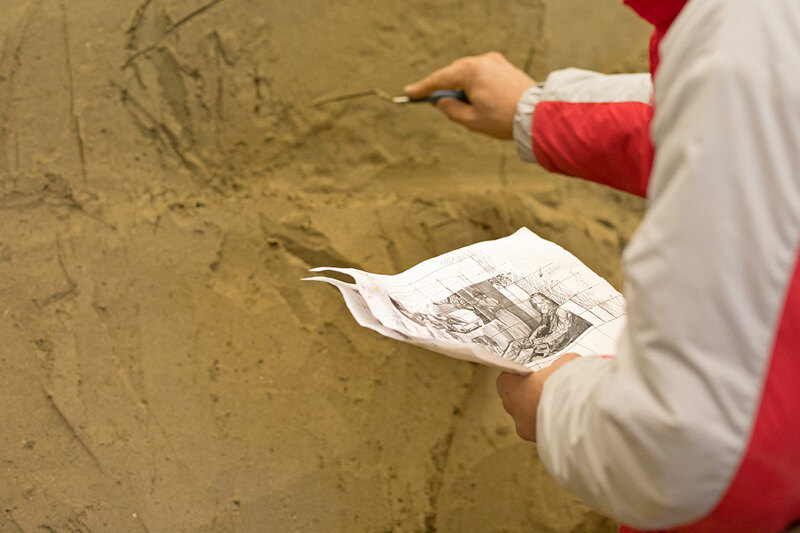 The exhibition route is enhanced by pictorial panels by Damon Farmer portraying landscapes of ancient Bethlehem. 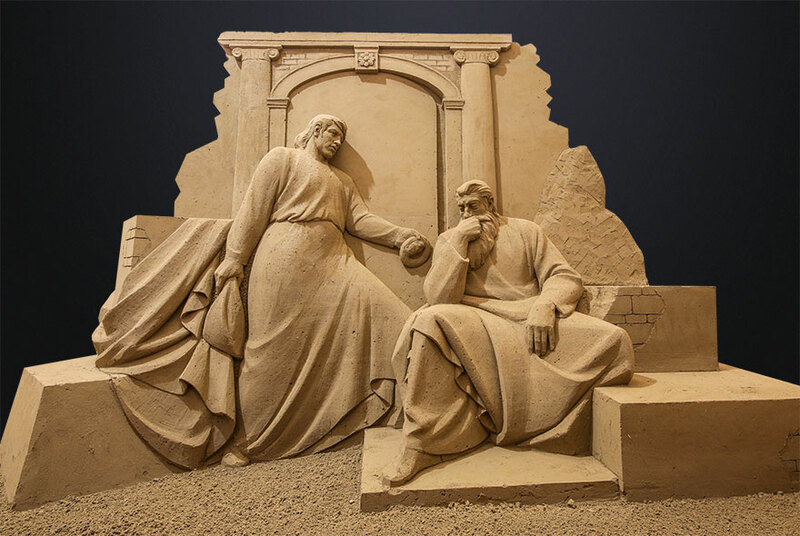 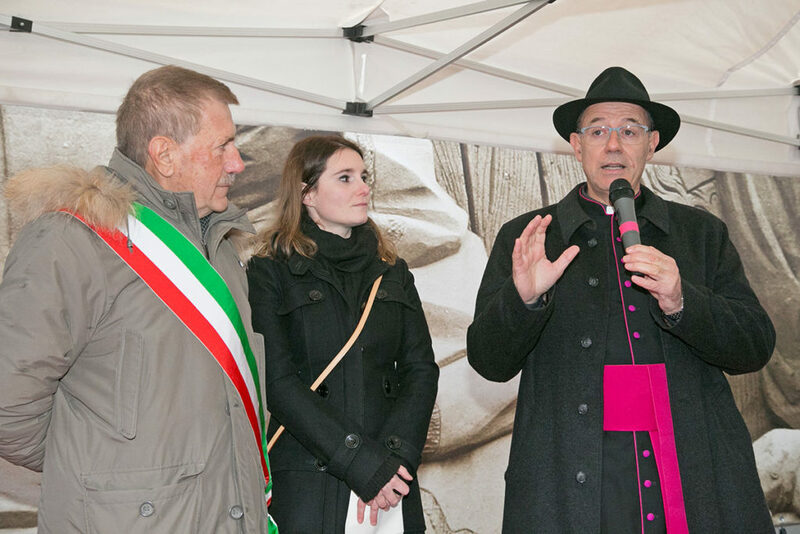 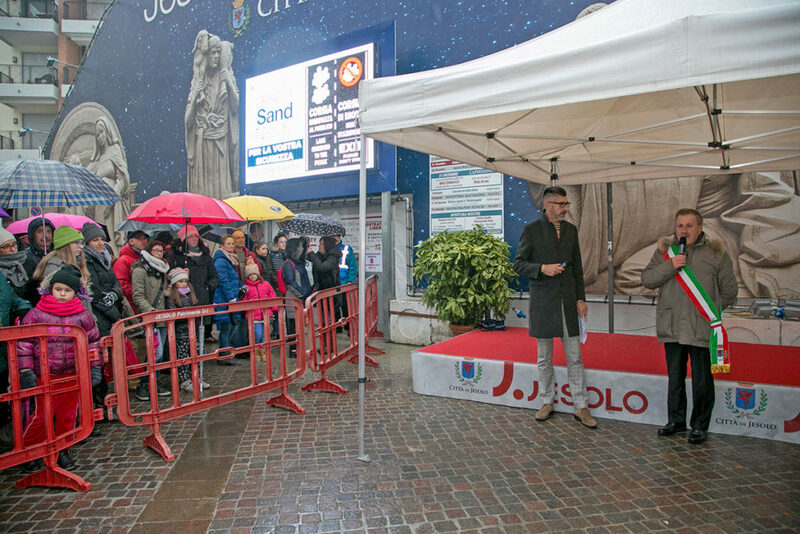 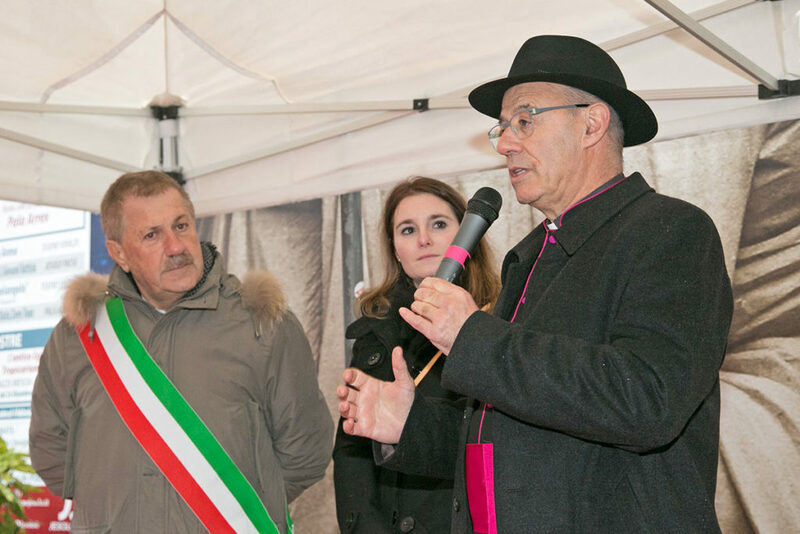 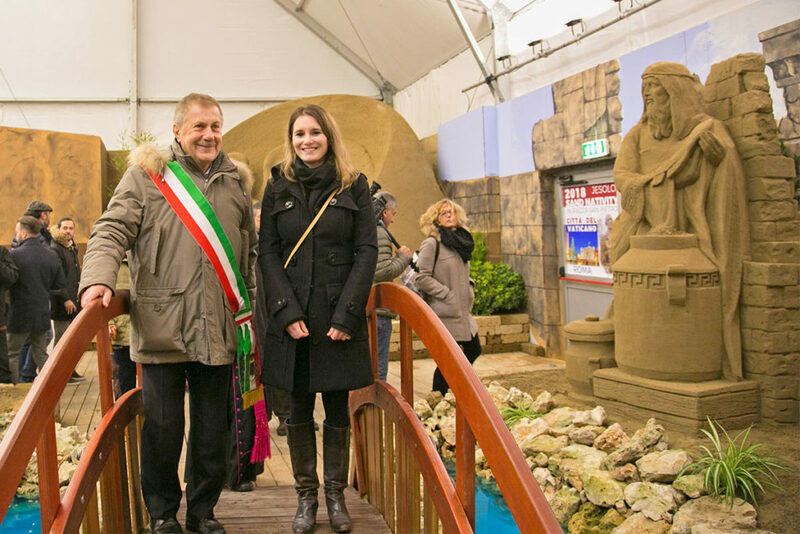 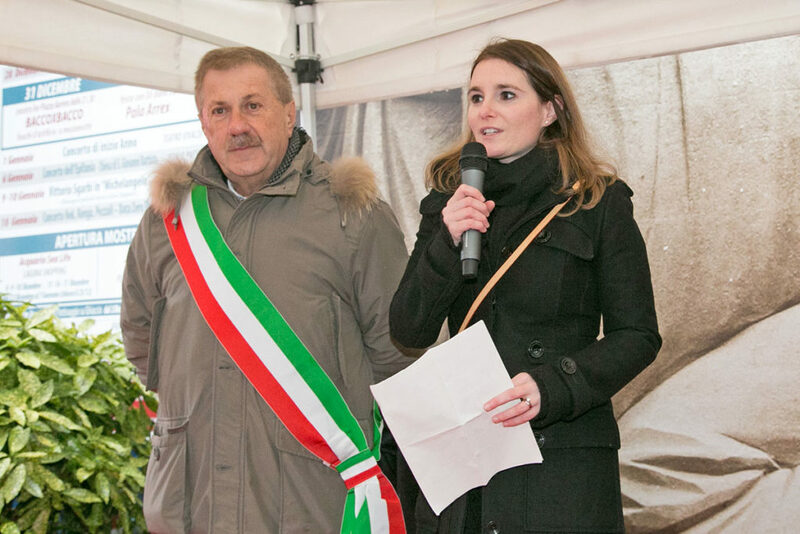 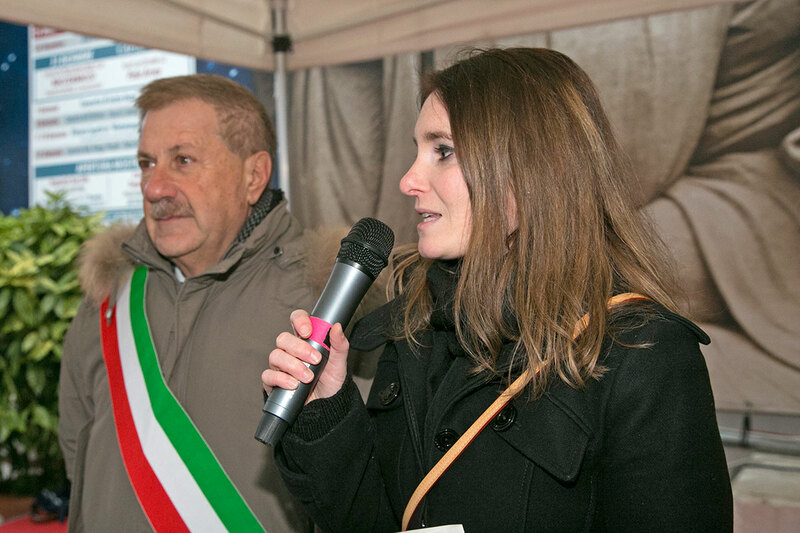 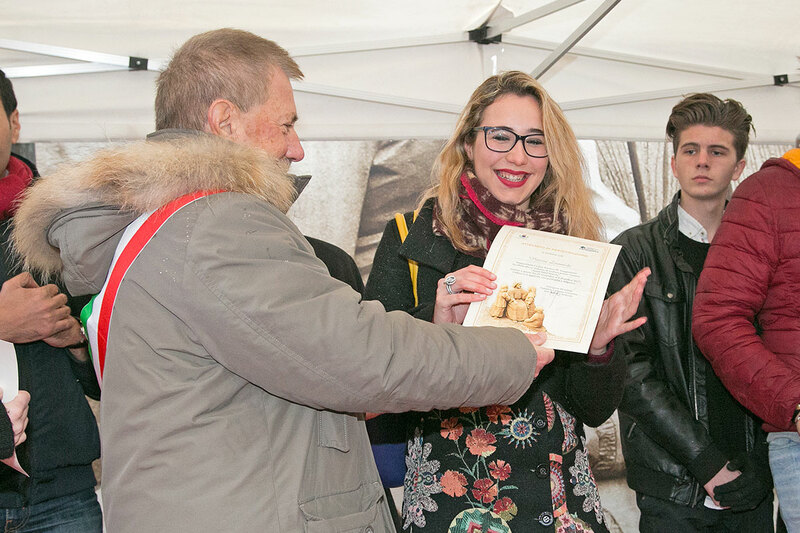 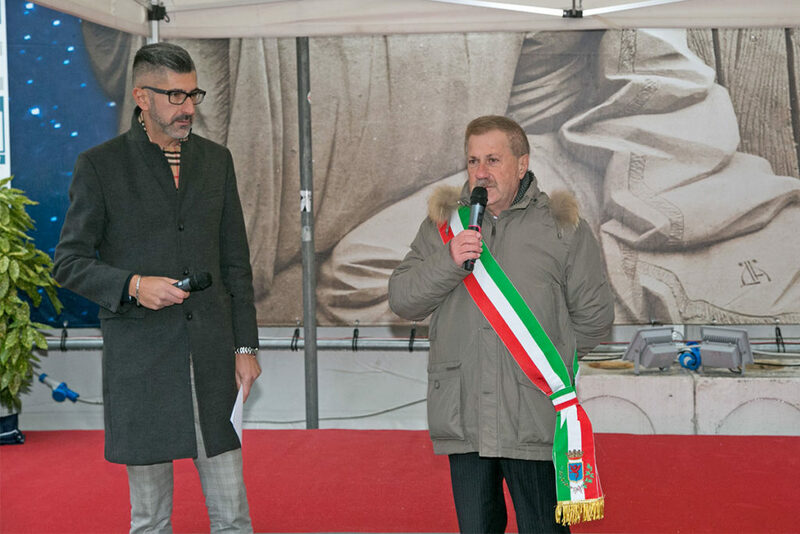 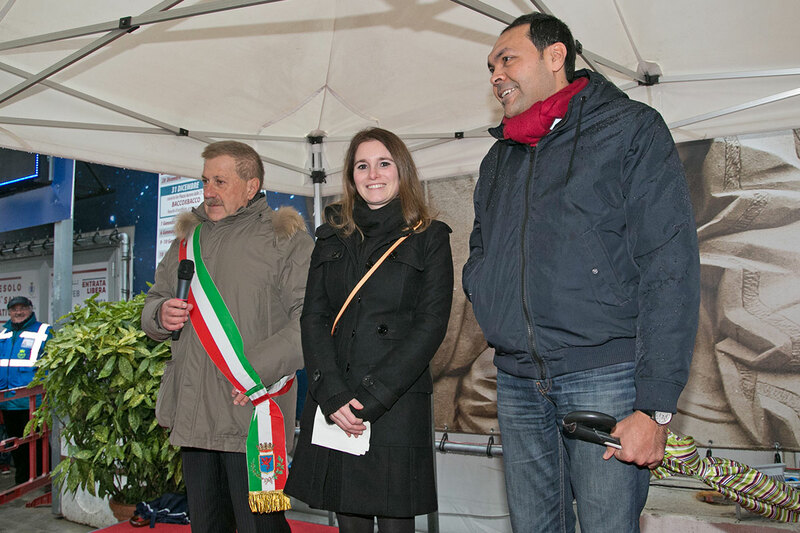 Glimpses of everyday life among the sculptures, set in the narrow streets of the city, enhance the visitor’s impression of being transported to the time and place of Jesus and becoming part of the presentation.